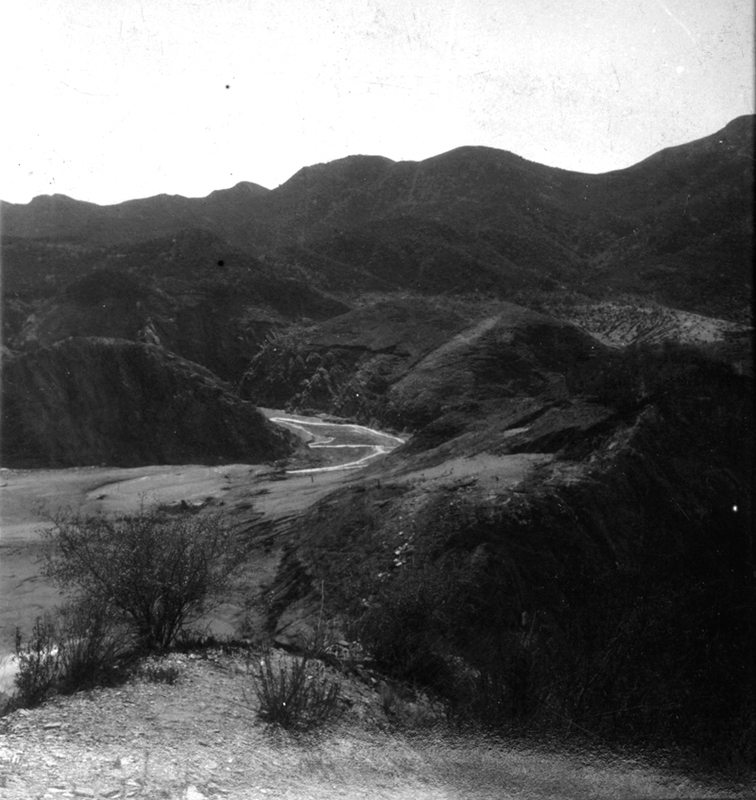 SCVHistory.com LW2743 | St. Francis Dam Disaster | Floodpath, San Francisquito Canyon. 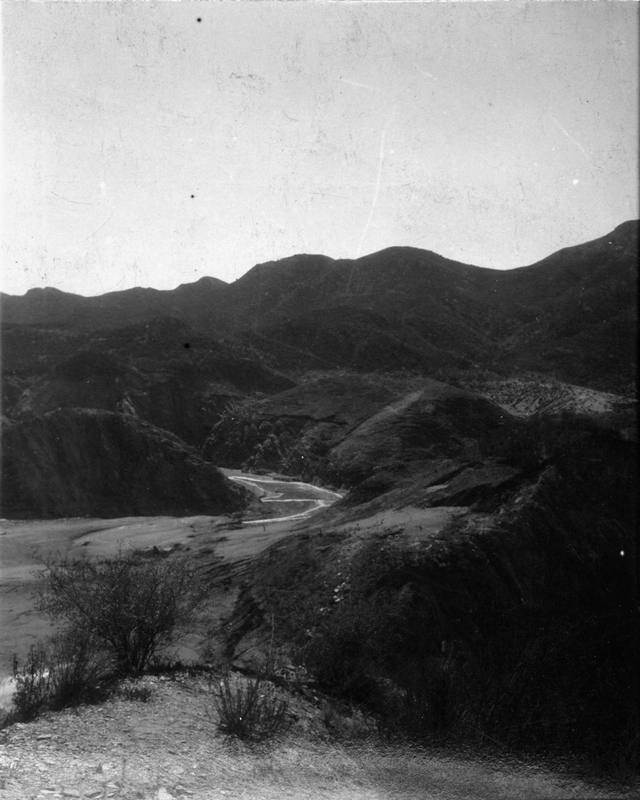 The canyons about a mile below the St. Francis Dam, according to a description accompanying this image at U.C. Riverside. Stereoscopic view on glass plate negatives. Keystone-Mast Collection. Date unknown; probably shot at the same time as this image, at least a year after the dam break of March 1928. Photographer unknown, although the name Gifford M. Mast is associated with this image, at U.C. Riverside. LW2743: 19200 dpi jpeg from image digitized with funding from the National Endowment for the Humanities. Source noted above; Catalog No. 1996.0009.KU87214.